Picture rhyme fun by Exem. The Cartoonmuseum Basel, in Switzerland, uses this funny drawing to advertise its latest exhibition of original comics art inspired by the work of Tintin author Hergé from Belgium, opened Saturday. The art is by Swiss comics artist Exem, penname of Emmanuel Excoffier (Geneva, 1951). It shows comics art characters as well as authors who have been bombarded with the ‘clear line’ label. Exem obviously had great fun in composing this picture rhyme full of quotations of comic strip characters and their backgrounds. Covering both sides of the white centerline, in yellow Chinese robes, are Belgian authors Remi and Jacobs. In the crowd behind them is Belgian artist Ever Meulen (‘E’), walking shoulder to shoulder with Tintin/Kuifje. 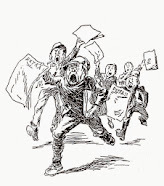 Hergé biographer Huib van Opstal tells me this drawing alone can easily lead to a page-long footnote. For instance on inventor Edward N. Hines, whose genius led to white centerlines on streets and motorways, read more HERE. 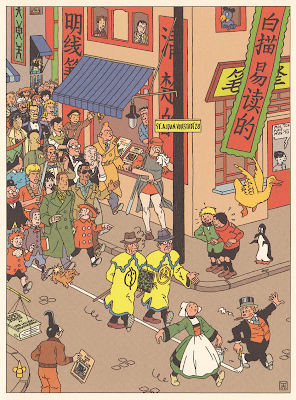 Dutch artist Joost Swarte came up with the label ‘De Klare Lijn’ in 1977, as the title for a little catalogue for the Hergé inspired exhibition of original comics art ‘Kuifje in Rotterdam’ (Tintin in Rotterdam) in the Lijnbaancentrum of the Rotterdam Arts Council. A label soon translated into la ligne claire and the clear line. The present exhibition in Basel shows a wide range of original art by no less than fifty artists from Europe as well as America. 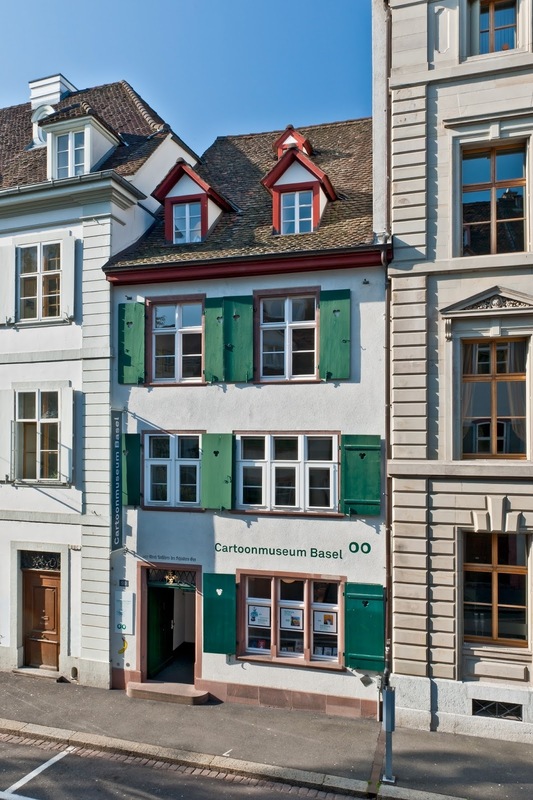 Visit the Cartoonmuseum Basel HERE. 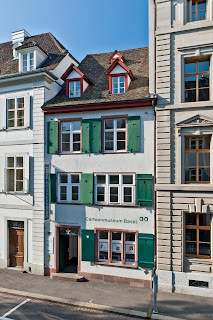 St. Alban-Vorstadt 28, in Basel. The Adventures of the Ligne claire. The Herr G. & Co. Affair. 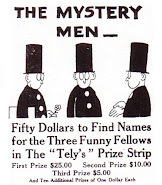 Hergé inspired exhibition of original comics art. October 26, 2013, to March 9, 2014.